ON Thursday, November 17, 2016 the follow-up to the London and Kasane conferences on illegal trade in wildlife opens in Hanoi, Vietnam. The landmark London Conference in February 2014 brought together heads and representatives of governments to discuss the rise in the illicit trade in wildlife and its negative social, environmental and economic impacts. The Kasane meeting in March 2015 reviewed the status of implementation of the actions agreed as part of the London Declaration. The Environmental Investigation Agency (EIA) – at the forefront of calls for transnational wildlife crime to be tackled as serious organised crime for more than three decades – has welcomed the outcomes of the London and Kasane conferences – but now wants to see tangible evidence that world leaders are getting serious about tackling international wildlife crime. EIA Senior Wildlife Campaigner Shruti Suresh said: “The commitments made have been encouraging but it is vital now to see evidence that countries are actually taking action to address a swiftly deteriorating situation. In 2014, EIA embarked on an evaluation of the significant challenges, best-practice and progress made by some of the key countries implicated in illegal wildlife trade. The findings of our preliminary assessment will be made available in a new report for the Hanoi conference – Time for Action: End the criminality and corruption fuelling wildlife crime. EIA, in collaboration with Education for Nature – Vietnam (ENV), is hosting an event to discuss key challenges and concrete actions that can be adopted to combat wildlife crime. We invite you to join us. Shruti Suresh, Senior Wildlife Campaigner – contact via shrutisuresh[at]eia-international.org. Matthew Lowton, Wildlife Campaigner – contact via matthewlowton[at]eia-international.org. 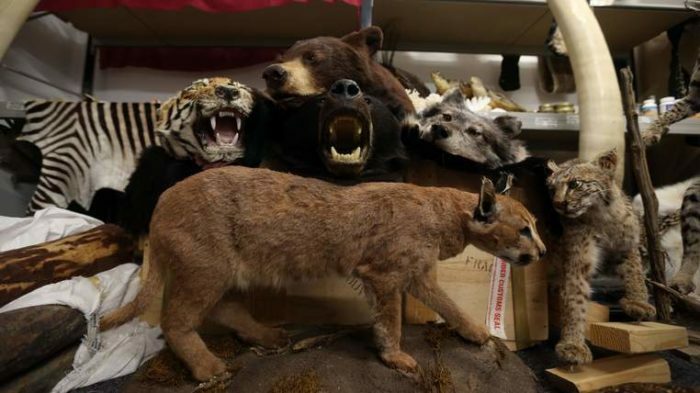 WHAT IS THE ILLEGAL WILDLIFE TRADE? 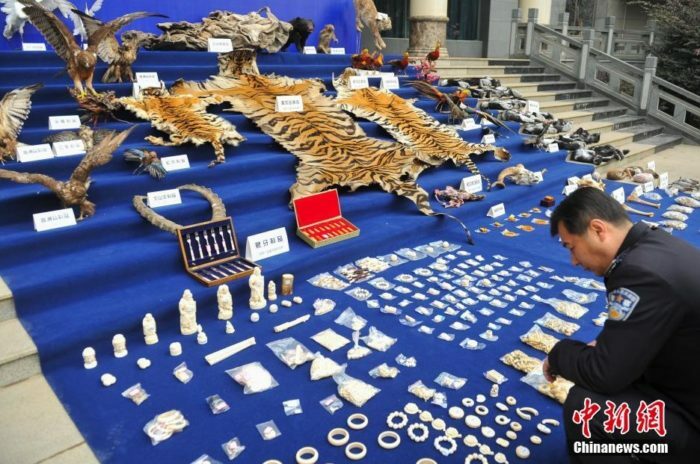 Wealthy consumers in China and elsewhere are investing in tiger and leopard skin rugs, tiger bone wine, elephant ivory carvings, rhino horn and other endangered wildlife products as collectibles, bribes, prestigious gifts and ingredients in traditional medicines. The demand sustains organised crime involvement, fuels corruption and conflict, and finances other forms of serious crime. For decades, transnational organised criminal networks have profited from wildlife crimes – crimes carrying few risks of detection, prosecution and sanction, and provide massive profits. committing to end all trade in ivory, rhino horn, tiger parts (including farmed tiger parts) and pangolins.